Space opera is a subgenre of science fiction that emphasizes space warfare and melodramatic adventure, and often risk-taking, inter-planetary battles as well as chivalric romance. Dude – action and romance in outer space – what could be better than that! Here are 3 of my recent reads that even you non sci-fi loving peeps (like myself) will enjoy. Illuminae tells a story through a range of data files – interviews, chat logs, surveillance footage and the thoughts of AIDAN, an A.I. computer. Listening to the audiobook is the way to go because it helps you feel the words and really experience the space drama. There are so many issues thrown in Ascension that it could have been a hot mess, but it all worked together and flowed beautifully. Alana, the main character, is just about the most diversely written main character I’ve read about this year – she’s black, gay and has a chronic illness, and tends to fall in love with the ships she works on! Alana Quick is the best damned sky surgeon in Heliodor City, but repairing starship engines barely pays the bills. When the desperate crew of a cargo vessel stops by her shipyard looking for her spiritually advanced sister Nova, Alana stows away. But the Tangled Axon proves to be more than star-watching and plasma coils. The chief engineer thinks he’s a wolf. The pilot fades in and out of existence. The captain is all blond hair, boots, and ego … and Alana can’t keep her eyes off her. I’ll admit I didn’t LOVE Ancillary Justice like most people seemed to do. It’s included on this list because it won a ton of book awards, so there might be something I’m missing. Do you have a favorite space opera book to recommend? 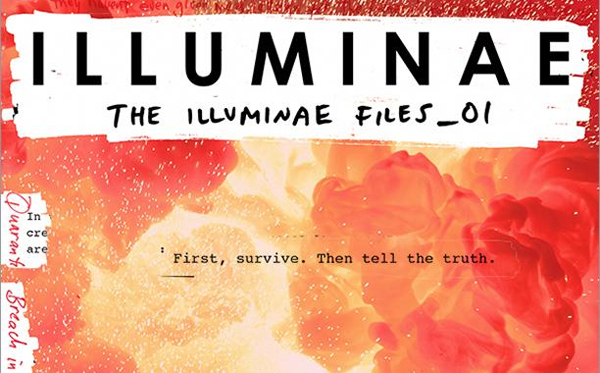 Okay, I’ve heard of Illuminae and it sounds reasonably cool (I even own it and I just haven’t read it for some reason) but Ascension that sounds like a crazy weird book that would be right up my street. And, really, if I’m going to read 2 of them any way I might as well check out the third and see how it goes right? Thanks for some interesting new book finds. Let’s see how they work out for me. Hmmm…interesting post. I’m not sure I’ve ever read a space opera, though based on your definition, we enjoy some TV shows and movies that fit the description. Will have to try one! @Sue I’m sure you’ve read a few books that would be considered space operas. Ooh, I would like to check out Ascension! Great list here. I don’t read a lot of space opera but it’s a genre I wish I was reading a lot of. @Athira – it’s a pretty awesome genre to dabble in if you don’t do much science fiction.